So, you are looking for the best wordpress hosting? Well, you've come to the right place, I'm going to cut through the fluff and show you the best options (not just the ones that have the highest paying affiliate program). You’ve chosen your niche, picked your domain and even found your first 20 keywords that your going to build your new website around. Next up comes the biggest challenge you’ve faced – picking a company that provides the best wordpress hosting. There’s quite a bit of misinformation out there about different hosting companies and which are best. One of the most important aspects of selecting a host is page speed, and I’m going to provide live examples of what kind of Page Speed scores you get from the various hosts. The speeds come from sites I know are using these hosting companies so I can accurately test them. Yes, WordPress Themes, Plugins and all sorts of various other items can impact load times, but to be completely fair, I wanted to test sites that are completely live and in action like yours will be – not sites that are test sites. Keep in mind that a good chunk of the sites I tested are sites that are hosted with companies I have had or currently have hosting packages with, so there’s some first-hand experience as I take you through each host. I dug deep to find actual websites using these services for live testing and I hope you will find the information valuable. The best wordpress hosting for you partially depends on your budget and how new your site is. If your site is brand new, I would go with either Bluehost or SiteGround. Just realize that once your site is getting around 20,000 visitors a month (or sooner) you will likely need to find a different host that is better optimized. These are starter hosts that are cheap. Great to get started with until you've “proven” your site. But then it's time to move on. My top recommendation hands-down for a site that is beyond the “new” stage is BigScoots. Big Scoots is fast. Big Scoots has AMAZING customer support. Big Scoots has email (other managed wordpress hosting options do not). You will also have to figure out how to manage your email, which could cost you money each month if you use something like Google Apps to manage email. And honestly, BigScoots is significantly cheaper than other options (depending on your size). I had my site (NichePursuits.com) previously hosted on both WPX and Kinsta for a period of time. It cost me $200 to $300 (Kinsta is the most expensive) a month for my site. My bill with BigScoots is now just $95/mth and my site is FASTER. So, if you have a site that is getting 50,000ish+ visitors a month, go with BigScoots. (And as a heads, I actually make less money as an affiliate if you go with BigScoots than I would make with the other options. I just honestly think they are the best wordpress host I've ever found). I provide a TON of details below, that I hope you'll read. However, if you want to see a summary of my findings, just use this simple chart below to help you pick the best wordpress hosting. 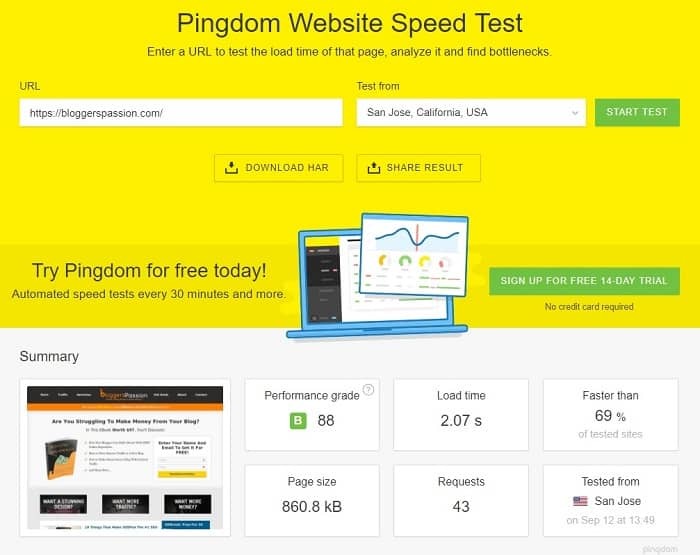 I'll take you through the speed scores from both tools.pingdom.com and gtmextrix.com which are both tools that are popular to use when testing different hosting companies. 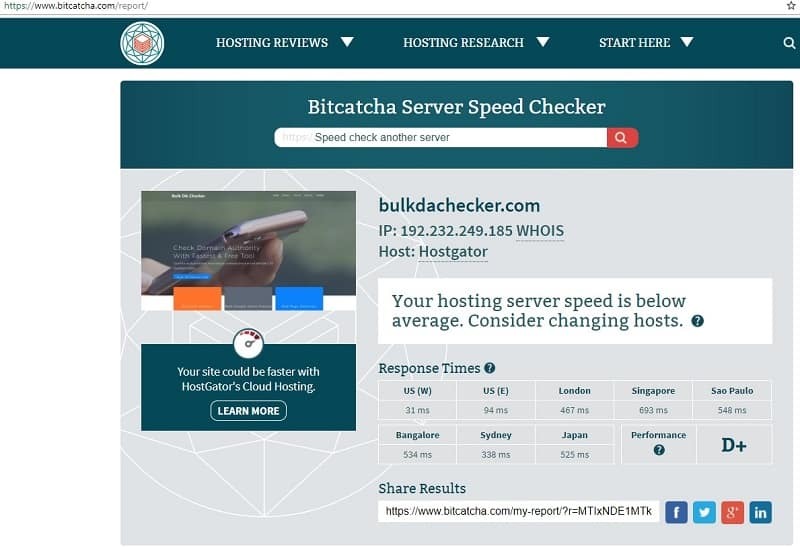 I will also run each site through bitcatcha.com to see the actual server response time for each host. 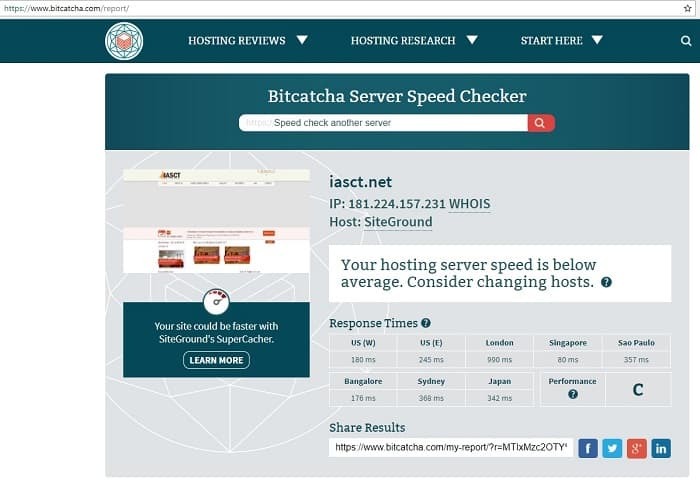 Bitcatcha.com measures server reliability and response time which is different than page load time. I've broken down our hosting options in two separate categories – Shared hosting which is typically the cheapest option for beginners, and then a faster option which is better for SEO – managed WordPress hosting that’s engineered specifically for WordPress. Long story short, If your budget is $25.00 per month and up, look at a Managed WordPress host. If it's less than that because you are just starting out and want to keep overhead low, pick a shared host until you grow some traffic. Before you jump into the details, I want to start off by saying I am not a tech guy. I'm just an affiliate marketer that has lots of experience with different hosts over the last few years. I've tried to keep my testing as unbiased as possible, but obviously since I have experience with some hosts over others, there's going to be a little bit of preference based on my own personal experiences. If you are a technologically inclined person, I would encourage you to check out this awesome article by reviewsignal.com that gives a really nice overview test of each host and their response times under heavy loads. Their picks are not necessarily my favorites, but some are right up there. My favorites are my favorites because of my own personal experience. Before I compare actual hosting companies, I want to walk through Managed WordPress versus a Shared host. Managed WordPress essentially means that the host takes care of everything from security to speed and support. It’s fair to say that all Managed WordPress hosting plans are going to be more expensive because of what they offer. If you can afford a managed WordPress host up front, you should consider it. If it’s not in the budget, a shared host is fine, but if you can afford the extra monthly cost, a Managed WordPress hosting plan is a far superior choice. While there are multiple reasons for this, I'm going to point out the least obvious one. The one area that I’ve found it’s absolutely worth the cost is the speed you experience while in the WordPress ADMIN sections. Not what your users experience, but what YOU experience. Instead of taking 5-6 seconds for a post to save, or to navigate between admin panels, you’ll be doing it in half the time. This may not seem like a lot, but when you are working in WordPress building your site out, you’ll find that saving 30 minutes per week on something you didn’t know was a problem is quite a difference maker. If speed and time are worth a few extra bucks a month for you, skip ALL of the shared hosting reviews below and go straight to the managed WordPress hosting options. When I take everything into consideration, I recommend that you check out BigScoots for WordPress hosting. 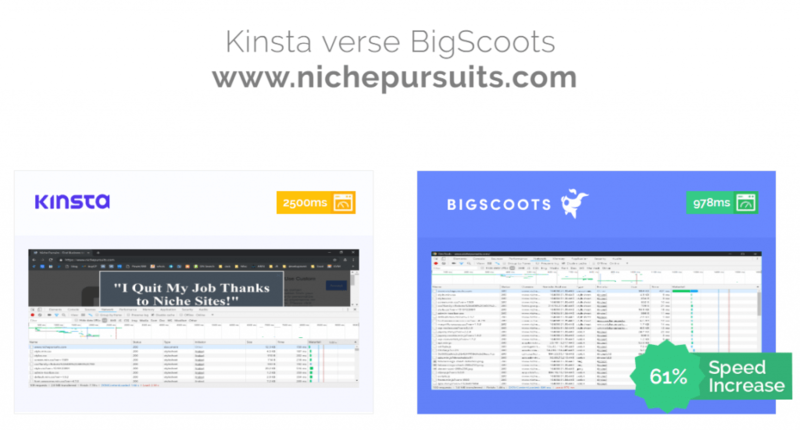 As you can see from the image above, I moved my site from Kinsta (a super high end Managed WordPress host) to BigScoots and my site speed increased by 61%! And I'm now paying $200 less per month moving from Kinsta to BigScoots. 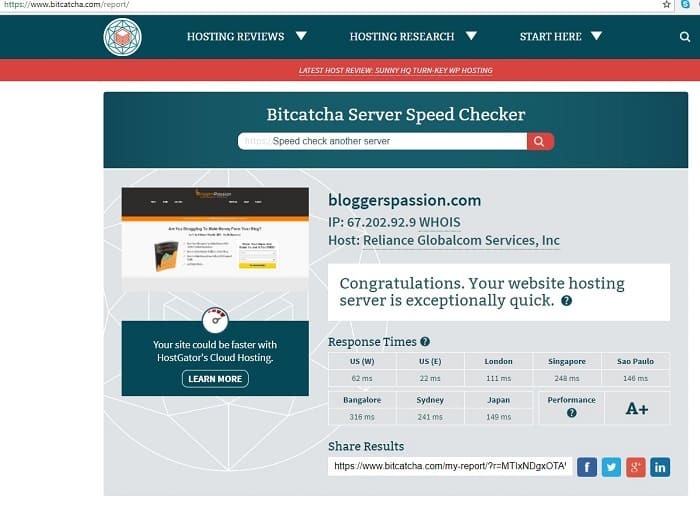 If you have an established site and you are looking for the best WordPress host on the planet, move to BigScoots right here. Their support is EXCEPTIONAL. You will get almost instant responses to chat or support tickets. You can also call them on the phone and get an answer right away. Fastest and best support I've ever experienced with a hosting company. I've lined up eight different options for shared hosting. Each of these hosts are hosts that myself or someone on the Niche Pursuits team has had relationships with and used in the past. With shared hosting, most hosts are pretty similar. Most of them offer one click installs of WordPress and you’ll see from speed tests that they are relatively close to each other in comparison. It really comes down to price and your long term goals for your website. Bluehost is one of the most popular hosting options for people just starting out with their websites. It’s actually humorous because in a recent conversation, someone mentioned the only reason that anyone would recommend Bluehost is for an affiliate commission. The reason why it’s funny is that couldn’t be further from the truth. There are other hosts with a much higher affiliate commission that any blogger or website owner could promote. Is Bluehost perfect? Absolutely not. But they do offer a decent hosting option at an affordable price. I personally used Bluehost for 3 years prior to moving my own sites to a managed WordPress host once I had some traffic (more on that later). The fact is that for the money, Bluehost is one of the most reliable hosting options you can choose. Niche Pursuits readers even get a healthy discount at $2.95 per month. 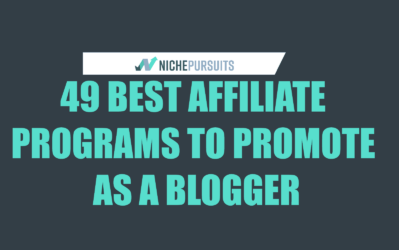 Yes, affiliate commissions are nice, but it’s not worth sacrificing a good deal for people on a budget, especially to loyal readers like Niche Pursuits has. The entire Niche Pursuits staff has used Bluehost at one point in time and some continue to use their services. Let’s start looking at Bluehost a little deeper. With the Niche Pursuits discount, you can get your monthly cost down to $3.95 per month. You also get a free domain registration, which is an excellent deal. Domain registrations typically cost between $9.99 and $12.00 depending on the registrar (sometimes you can find them for a buck when registrars run specials). This means you’ll get a full year of hosting plus your domain for under $50.00 which is a great value. For site speed, I tested sportsmgmt.com, currently showing as hosted with Bluehost. GTmetrix Test: The site scores relatively low with 3.3 seconds for 1.12MB of page speed load time. Yes, this can be impacted by coding, themes and other issues, but hosting and images are the biggest things that can impact speed scores. Typically a decent speed is about 1 second per MB of data, which we talk about in our WordPress theme Guide for 2017. The GTmetrix test here is not great, but also not horrible when you consider cost. Keep in mind that some of GTmetrix’s test servers are in Canada and distance from server can make a difference in speed. 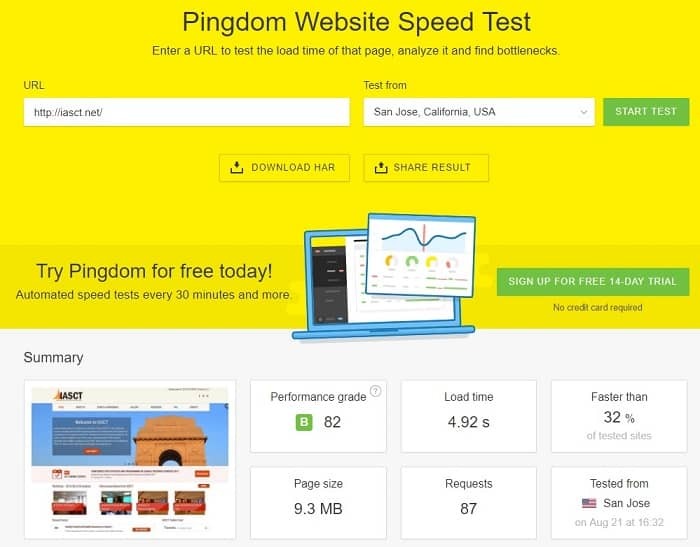 Tools.pingdom.com Test: The Pingdom test comes back looking much different. This test is run from the San Jose, California location which is close to where Bluehost’s servers are in Provo Utah. The page speed here comes back at 1.33 seconds of load time for 1.3MB which is about what you’ll get with some more expensive Managed WordPress hosts. For a non image heavy site, this is pretty decent. The site could make some tweaks to get faster, but for a shared host, I’d be happy with this. 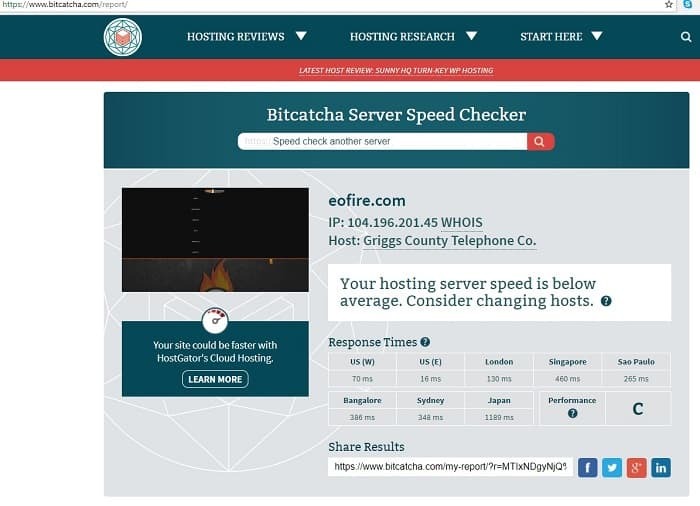 BitCatcha.com Test: The server response test by BitCatcha.com brings us at 35MS in the western US and 77MS in the eastern US. This is likely because a good chunk of Bluehost’s servers are in Utah. If you have a US based site, this makes Bluehost an excellent option to choose as your first host as people in the US will get to your website quicker and load times will be faster than for foreign visitors. If you plan on getting large influxes of overseas traffic, you'll want to consider installing CloudFlare to speed up server response times for overseas visitors. 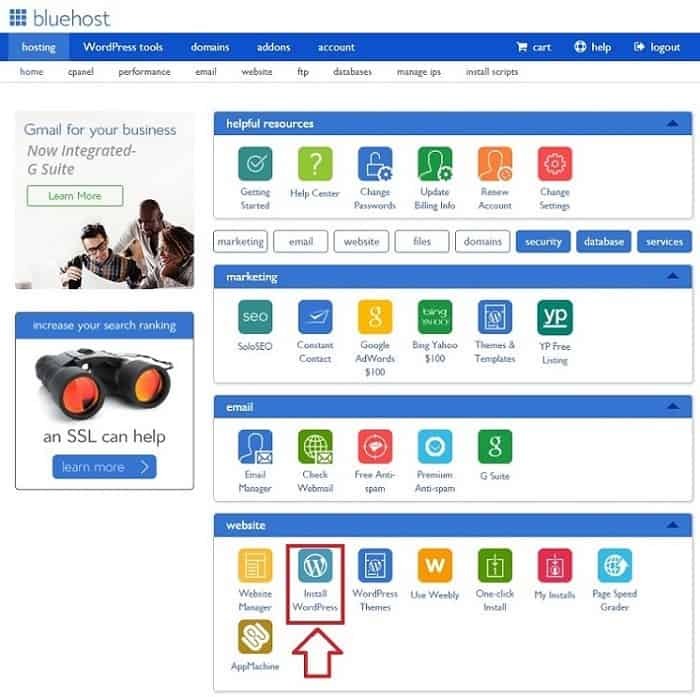 Bluehost’s user interface is one of the easiest to manage for a shared host back end. It’s easy to navigate and the one click install is right in front of you when you login to the site. It makes installing WordPress a piece of cake, literally taking you 10 minutes or less to get your website up and running. Bluehost’s support is pretty good. They have a live chat feature or you can call. 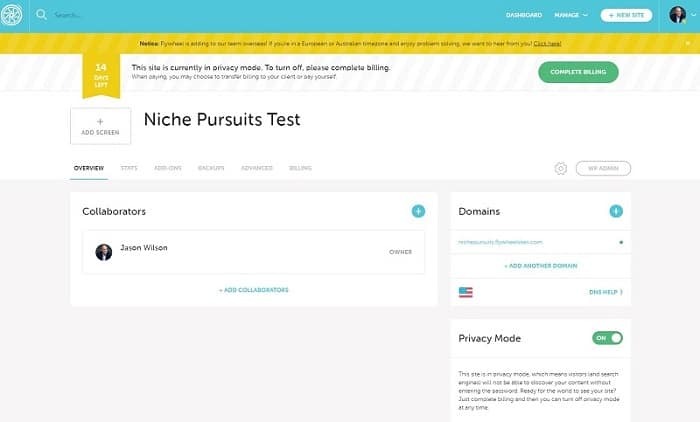 Some of the Niche Pursuits staff has actually called them and have had support on the line to literally merge a couple of different hosting accounts and the Technology Representative moved the site from one hosting account to another free of charge. This is usually a paid service, but they did it for free. Their support is open 24 hours and the live chat feature is great if you have an immediate problem. 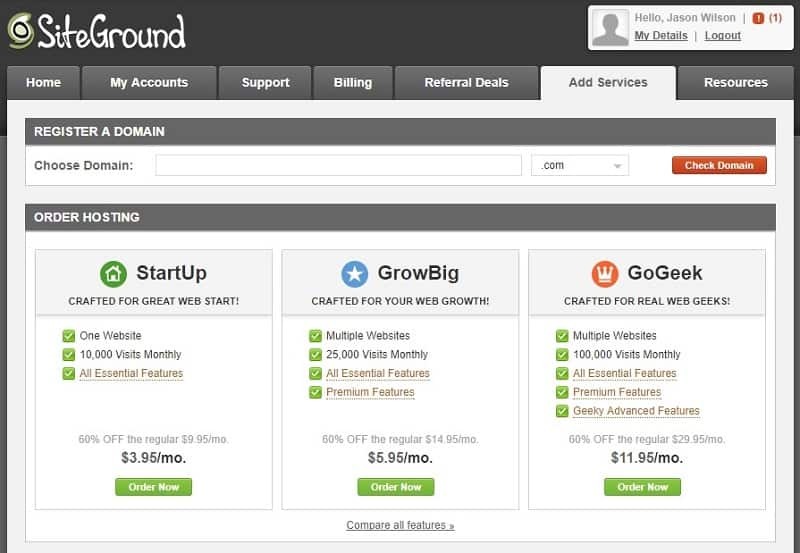 SiteGround is another popular shared hosting option. They have a number of different packages and are well known for their user friendly support team that has a quick response time. For those that worry about affiliate promotions as a primary reason for promoting a host, SiteGround is on par with Bluehost as far as commission payouts. They offer a “tiered” structure depending on how many people you refer, but the payouts are about the same as what you can get as a Bluehost affiliate. 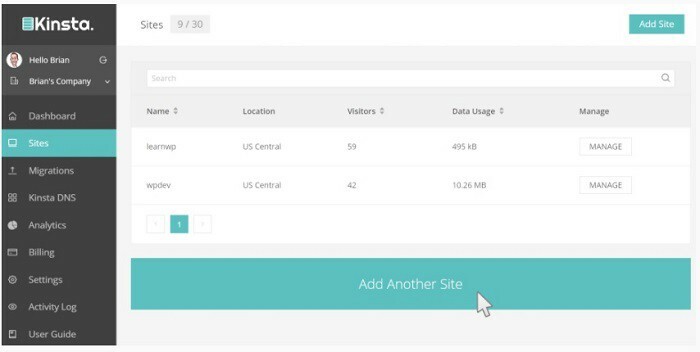 SiteGround is a reputable host and they have a variety of different hosting options, similar to other shared hosts. They offer shared hosting (most popular) and dedicated WordPress hosting. They also offer a reseller account for people who plan to resell hosting services and rebrand them as their own. 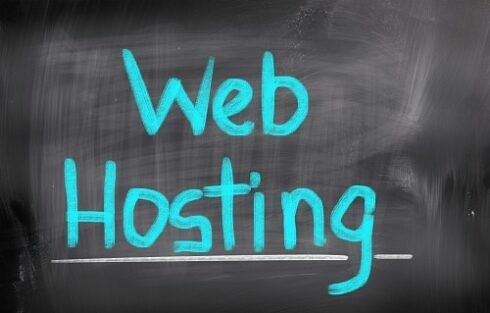 They also offer custom made hosting options depending on what you need. The one turn off that SiteGround has for me is that they essentially throttle your bandwidth based on your monthly subscription. I cover this in the cost section, but buying a “GrowBig” package will cost you more than a shared Bluehost option when you are just starting out. SiteGround gets a C+ because when comparing to Bluehost, once you exceed 10,000 visits per month, you’ll end up needing to move up to the next plan which is $5.95 per month. This means that you’ll end up paying more for a similar shared hosting plan as you would on Bluehost’s basic plan. You could argue that support and speed are slightly better than Bluehost making this a superior option, but I prefer to start with cheap and reliable until I have a considerable amount of traffic. With that being said, SiteGround is still extremely affordable and their tech support is top notch. If you feel like that is worth the same initial investment which turns to a larger financial investment sooner than a Bluehost package, then SiteGround could be the host for you. For site speed, I tested iasct.net, which is currently showing as being hosted with SiteGround. Tools.pingdom.com Test: The Pingdom test for this SiteGround hosted site went pretty well. The code is setup pretty well, but the image scaling is still impacting load speeds. The load time brings this page back at 4.92 seconds for 9.3MB of data, which is something I’d be happy with considering how much the images are weighing down the home page. With the images cleaned up, the site would load much faster and get better results here. 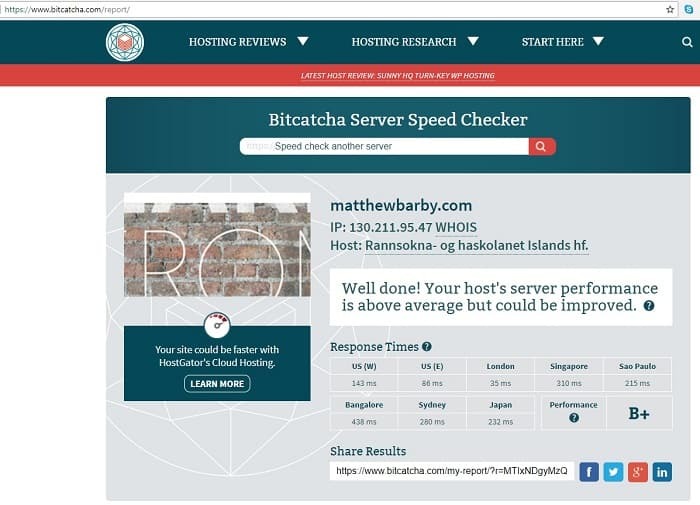 BitCatcha.com Test: With the 200ms response time as the goal from Google, bitcatcha ranks this particular SiteGround server at 180MS for the west coast and 245MS for the east coast. Performance is ranked as a C, so it’s about average as most shared hosts are with regards to speed. Bluehost definitely has an edge here for server response times when it comes to US based tests. If you have lots of international traffic, SiteGround is more balanced. I could have a slight Bias with lots of experience using Bluehost over the years, but SiteGround’s user interface isn’t quite as “dummy proof” as what I’m used to with Bluehost. This is probably a personal bias as I may feel differently had I started off with SiteGround. They do have a streamlined design and it’s easy to use. Most beginners do need a little hand holding when setting up their first site though, and SiteGround may have a slightly longer learning curve. Installing WordPress is not as intuitive as other hosts, but it gets the job done. Here’s where SiteGround shines. 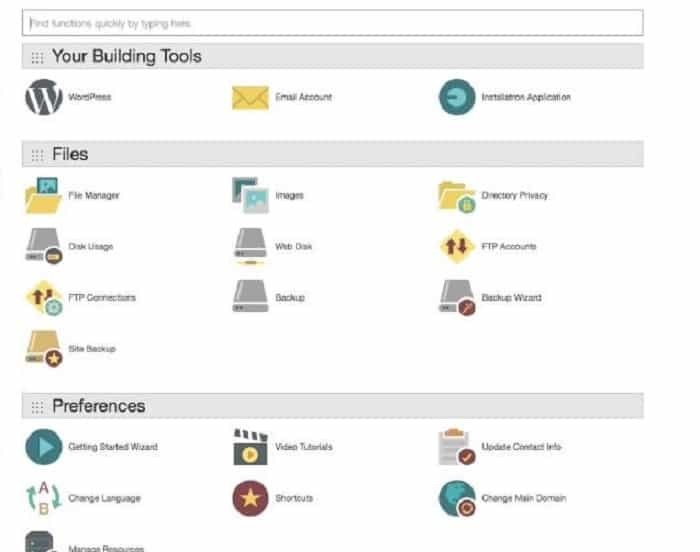 As a SG customer, they offer a number of tutorials that are designed to help you learn WordPress, cPanel, their email functionality and even FTP in case you need to access the back end of your website. They also offer a number of free software discounts as a part of being a SiteGround member. This sets you up for success so you won’t have to reach out to them for basic WordPress installation questions and support. If you do need support, it’s available 24/7 both via chat, phone and ticket submission. They are usually pretty fast at responding to tickets which is incredibly important for a host. Overall, SG’s support is fantastic and that should be worth considering when picking a host. 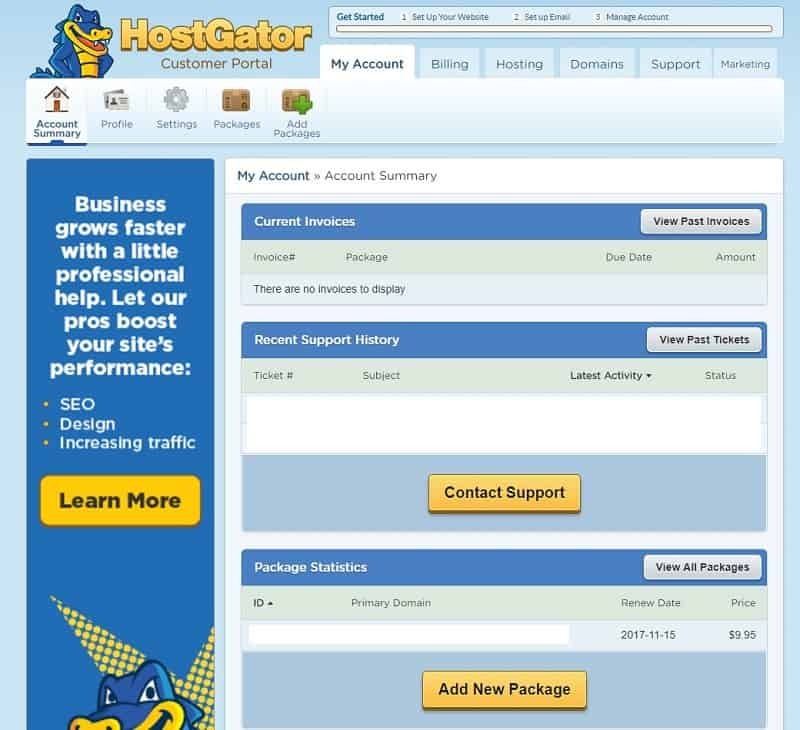 HostGator is another popular shared hosting option for people looking to get into a hosting plan at a lower cost. It’s comparable in popularity to BlueHost and SiteGround and has different packages depending on your budget. The smallest plan, the “Hatchling” is a decent starting hosting plan for anyone that’s just starting out. Their price is comparable to BlueHost for this basic plan at $3.95 per month. What many people don’t’ know is that the same parent company actually owns Bluehost and Hostgator, so service levels and other support related metrics are very similar. Endurance International Group has collected and purchased different hosting companies over many years. For the different hosting companies that this group owns, you can check out the full details here on Wikipedia. You’ll see some other popular hosts that they own which include FatCow, HostMonster, iPage, HostNine and Domain.com. BlueHost starts to look like the better option if you have more than one website that you want to host on a single account. 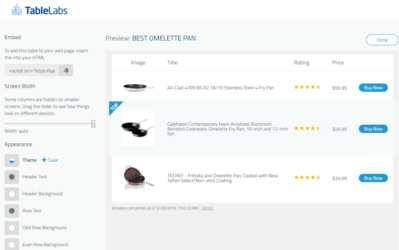 With HostGator, you have to pay for the upgrade to the “Essentials” plan if you want to host unlimited domains on your plan, and then upgrade to the “Pro” if you want a private SSL/IP (which in most cases isn’t necessary). Since Bluehost allows multiple domains on their basic plan, Bluehost gets a nod on cost. For single websites, HostGator is on par with SiteGround and BlueHost so your decision point should come from looking at the other areas which include support, speed and UI. For site speed, I tested bulkdachecker.com, which is currently showing as being hosted with HostGator. GTMetrix Test: GTMetrix reads back at an “E” PageSpeed score isn’t fantastic. This site does have some image optimization to do and could benefit from enabling Gzip compression with a caching plugin like W3 total cache. There’s no doubt though that some of the slowness is due to server response time with the hosting provider. 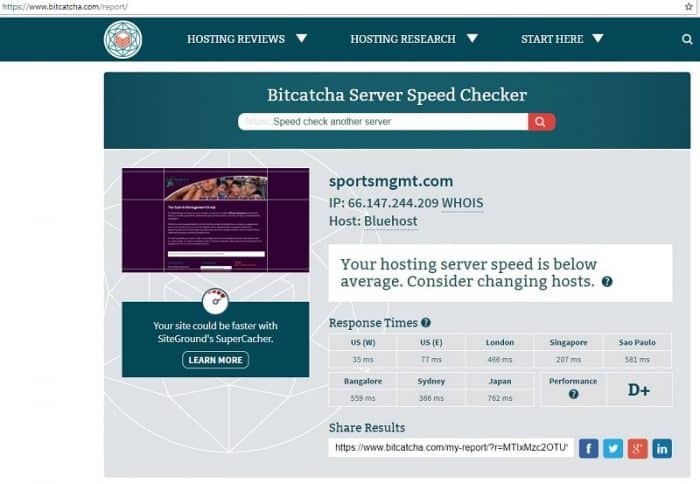 You may be wondering why the speeds would come back different if HostGator and Bluehost are owned by the same company. Keep in mind, Endurance International Group has purchased many companies over time, many of which have their own infrastructure already in place. 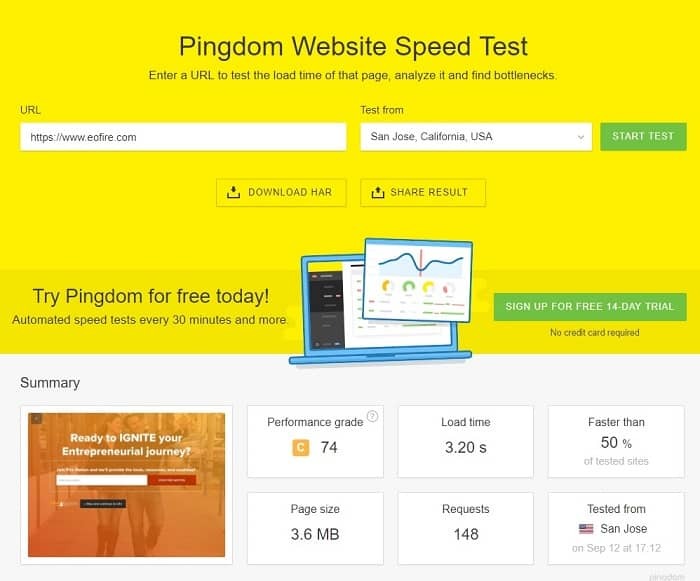 Tools.pingdom.com Test: The Pingdom test for this HostGator hosted site came back better than the GTMetrix results. The page loaded in 1.07 seconds with 1.1MB of data which is on par with where I’d like to see most sites. It’s not until I started testing some of the inner pages of this site where it starts slowing down just a bit. 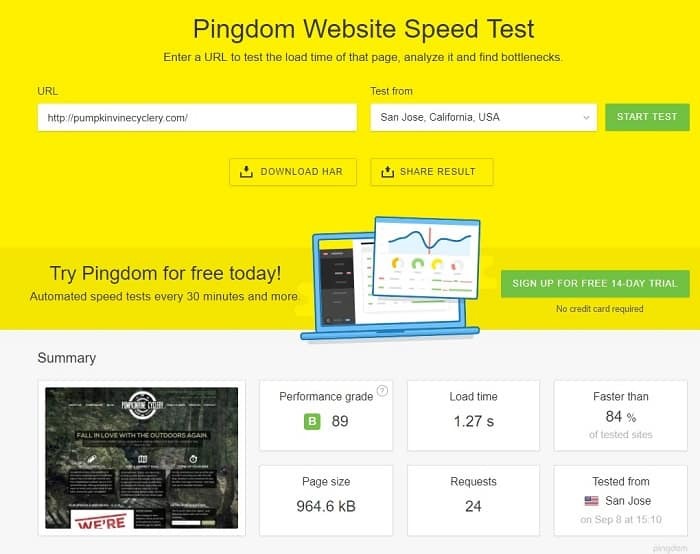 There’s still some optimization issues that can be done on this site to speed it up as well to improve the Pingdom scores. Bitcatcha.com Test: The Bitcatcha test comes back with a 31ms response time in the western US and a 94ms response time in the eastern US. Anything outside of the United States comes back anywhere from 300-600ms in response time. This means that like SiteGround or BlueHost, if your traffic comes from outside the United States, you’ll want to think about your hosting options. A CDN like CloudFlare will help on any site that’s currently hosted with a shared host as the files can be stored locally in the cloud across the entire world, serving that content to the location closest to the actual user. I’ve had a HostGator account since 2014. It’s user interface is much better now than it used to be. You can tell that they are trying to upgrade the back end and make the interface more user friendly. When I first joined HostGator, I needed a direct line with their support staff just to install WordPress on my hosting account. It’s gotten much better, but it’s still not quite as easy to use as Bluehost’s back end. That could be a partial bias on my part since I started with Bluehost initially myself, but I just feel like Bluehost is slightly more intuitive. So I’m being picky here, but it’s tough to navigate support. The default “get help” is to have you place a ticket. They do have live chat support, but you’ll need to do a Google search to find the landing page where you can get support. I’m guessing it’s because they never bothered to add it to the support area back end and this is really my only beef. Navigation is big, especially for people just starting out that might have questions about how to install a website or have problems with technical support. Their support response times are good and I’ve never gone more than 24 hours without a response. GoDaddy is probably the biggest registrar out there besides NameCheap. It only makes sense that they get themselves into the hosting game as well. While you’ll see that their speeds aren’t as quick as their competitors, they do make up for some of that with a decent user interface and top notch support. Their support team answers tickets very quickly and generally is pretty helpful. They are a more expensive host (which I cover in costs) but do a really good job with marketing an “easy to use” user interface. They also offer some decent “intro” sales but end up hooking you into their hosting plans and the charge ends up going up when you go to pay your next subscription cost. You’ll get a free domain if you pay annually but other hosting providers offer the same thing, including Bluehost. Overall, GoDaddy is a decent hosting option for beginners, and on par with other shared hosts. My only beef with GoDaddy’s costs are that their intro rates are great, but don’t expect to get those when you re-subscribe. And instead of being just “slightly” higher than their intro offer like other shared hosts, you’ll be going from $1.00 per month for the first year as part of their promo plan and jumping up to $7.99 per month in year two. This is fine for your first year, like any of the other shared hosting options, but I would encourage you to have longer-term plans like a managed WordPress host in year 2. It also makes it more expensive to re-subscribe in year 2 if you aren’t ready for a managed WordPress host, so that’s something to keep in mind when evaluating costs. If you picked a competitive niche to start out in, it might take you longer than a year to get some serious traction. For site speed, I tested allaboutframes.com, which is currently showing as being hosted with GoDaddy. GTMetrix Test: GTMetrix comes back with a “B” PageSpeed score. The website layout for this site is decent and has been optimized well. It’s been built with HTML code which definitely runs faster than a website that’s been built with WordPress, so PageSpeed scores are going to look a little better due to the cleanliness of the code. It’s also not an image saturated site, so it loads relatively quickly. It pulls down 320KB in 2.7 seconds though which is still a little on the high end when you understand that 320KB is not a lot of data. Tools.pingdom.com Test: Tools.pingdom.com also renders under 320KB worth of data in just over 2 seconds. Ideally this should be a much quicker response time given that this site is designed in HTML. There are some small coding issues that could be addressed to help reduce page speed and improve the user experience. Bitcatcha.com Test: Here’s where the rubber meets the road. This website was great to test due to the fact it wasn’t a WordPress PHP based site. 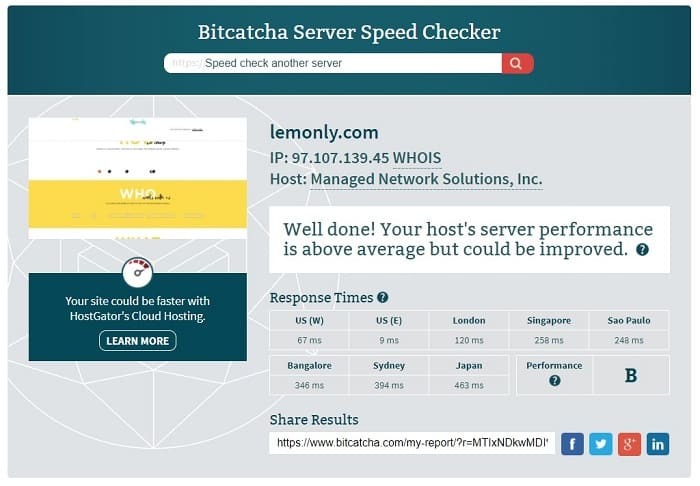 The Bitcatcha results show an overall performance grade of a “C” for server response time, with an 18ms response time in the western United States and a 57ms response time in the Eastern US. Overseas is significantly higher. I’m going to make an assumption that if this site were hosted by a different provider, these scores would improve. 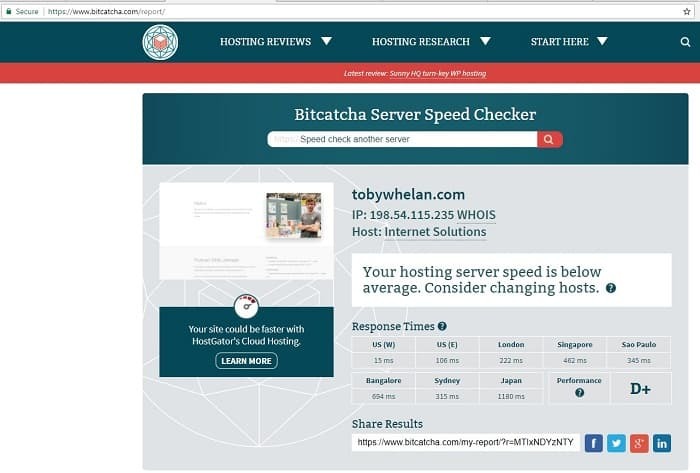 Disregard the “Host” name in the Bitcatcha response, as doing a reverse IP search and running the domain through whoishostingthis.com shows that this site is indeed hosted through GoDaddy.com. GoDaddy switched to cPanel a few years ago, so their user interface is pretty standard. If you are just starting to build websites and use GoDaddy as your registrar, then GoDaddy wants you to believe that setting up your site there is easier than setting it up with a different shared host. It takes about the same amount of time, regardless of shared hosting plan, so don’t let this be the single reason you decide to make GoDaddy your host. You can install WordPress on your website in under 5 minutes on most shared hosting providers. GoDaddy’s support is actually pretty solid. They are 24/7 and you can either chat or call in to speak with a support rep. Don’t be surprised if they try to upsell you on a different product though. It’s part of their job to try and upsell when they have a client on the phone and it’s bred into their culture. This is good news in a way though, as their support reps are mostly friendly and if they can’t resolve your problem, usually do a good job of escalating it pretty quickly. Site 5 is another hosting company that’s owned by Endurance International Group. Site 5 has a few different hosting packages, and they are typically geared towards the beginner crowd, just like Bluehost and the other shared hosting providers I've already covered. Their speeds are relatively similar which I’ll cover, so basically it comes down to back end support and user interface functionality as well as speed of WordPress setup. One benefit that Site5 offers is free migrations. If you have a WordPress site already setup on another host and are looking to move away from them, they will migrate your site over to their hosting platform for free. WPX does this as a managed WordPress host and it’s a very nice touch. It makes moving your site over very easy. This is helpful if you want to move hosts and you already have a site that’s getting a little traffic but aren’t ready for the cost of a larger hosting plan. Site5 is more expensive than the other hosts on the list without any type of promo code. For just 1 website, you are looking at $6.95 per month and this is only suitable for up to 10,000 visits per month. If you executing the appropriate strategies for building your website, you’ll move past this figure within 6 months. The next level up is the $10.95 hosting package for unlimited websites. Obviously this works out to over $120.00 per year which is more expensive than our other recommended shared hosts so that’s something that should be taken into consideration. It’s also only good for 25,000 hits where other hosts offer unlimited bandwidth. For 100K visits, you are looking at $13.95. By this time you should be looking at a mid tier plan with WPX Hosting or another provider because your traffic numbers should mean that your site is making a decent income. If you are making a decent income, it’s worth upgrading your hosting plan and reinvesting in your business. For site speed, I tested with pupkinvinecyclery.com, which is showing as hosted through a Site5 shared hosting plan. 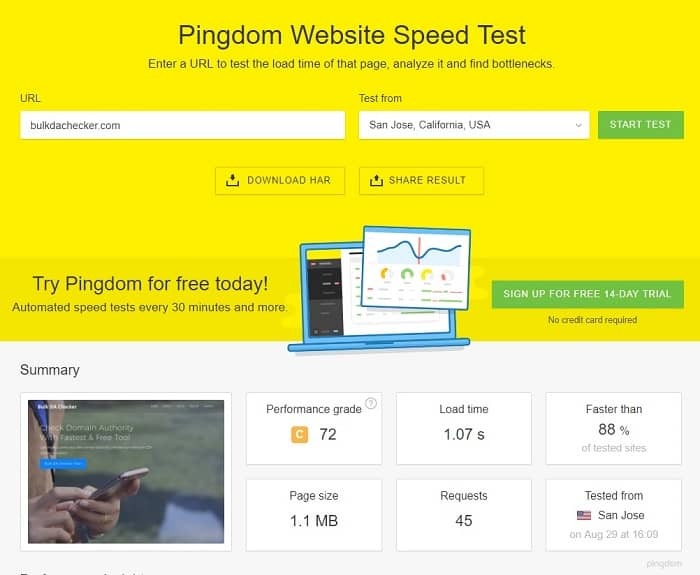 Tools.pingdom.com Test: The Pingdom test comes back even cleaner. It registers a load time of 1.27 seconds for just under 1MB of total data and also shows only 24 requests. Granted, there is not a lot of content or any ads on the site, but overall the site is built well with a WordPress custom theme. 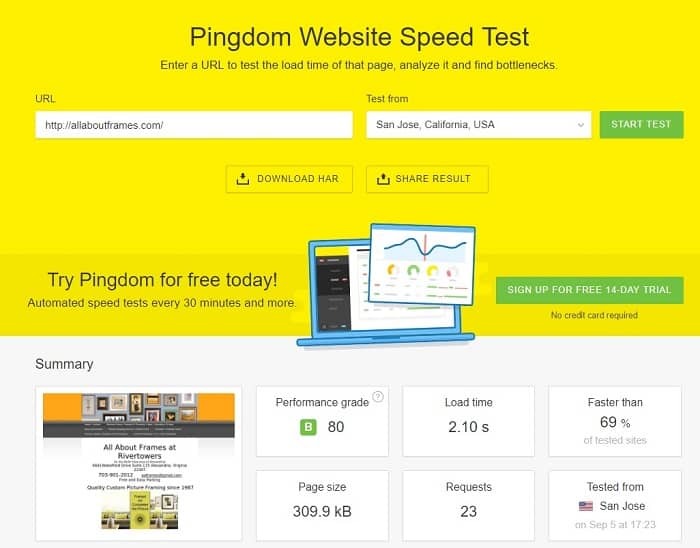 The performance grade is an 90 overall, and the speed makes it one of the better shared hosting options from a Pingdom testing perspective. 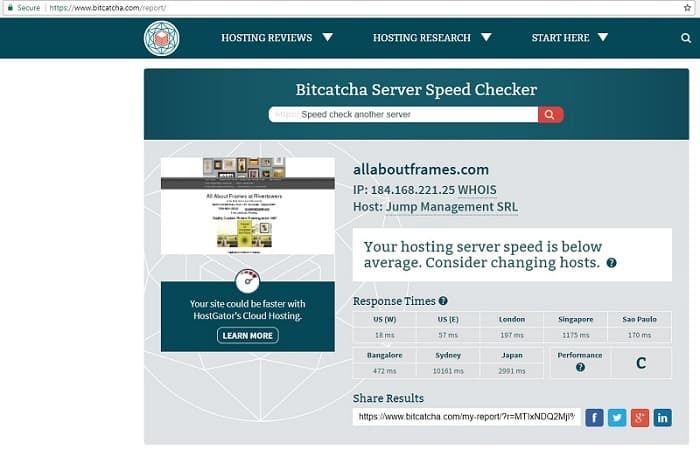 Bitcatcha.com Test: When testing the Site5 servers, the performance was solid for US based traffic. West coast response times are 32MS and East Coast are 36MS, both well under the 200MS or less recommendation by Google. If you are outside the US, the site speeds increase dramatically which is expected. Using a CDN like MaxCDN or a service like CloudFlare would dramatically speed up server response time as it would serve the content from the closest server to the location of the visitor. Overall, the D+ ranking of the server response times are on par with other shared hosts. Site5’s user interface is pretty vanilla. Once you “install scripts” it will take you through the process of installing WordPress from cPanel. cPanel is standard with most Linux hosting companies, and it’s basically a one click install from there. You can install WordPress in under a dozen clicks, making it pretty easy to go live and get setup. The back end is not as easy to navigate as BlueHost is, so you may spend a little time needing to walk through tutorials or viewing walkthrough guides on the Site5 website. Site5 has support available through live chat, ticket submission and email submission. It does not however have live phone support. If you request support assistance, it will channel you back through the “backstage” area for online submissions via ticket or live chat. If you prefer to speak to someone over the phone for support related issues, BlueHost, SiteGround or GoDaddy are all better options. The chat support is relatively quick to respond though, and I’ve never had any problems getting the support I have needed from an agent at the support desk. Namecheap is a lower cost shared hosting provider. The biggest beef I have with NameCheap is that your cPanel login isn’t on your dashboard when you login to their website. You’ll need to save your original email you received during account setup if you want to readily access cPanel and add new domains to your account or setup your website hosting for the first time. Outside of that, they are pretty cheap and reliable. Their speeds lag behind other shared hosts, but their costs reflect that and they do not put a bandwidth limit on their sites. Their UI is lacking behind other major hosting providers like Bluehost but if you need a super low cost option and can find a hosting coupon, Namecheap is a decent choice for anyone just starting out. NameCheap has a variety of different hosting options, but the most popular is the “Value” plan which will get you up to 3 websites and unlimited bandwidth at $9.88 for the first year and $38.88 for the second year. If cost is a major concern to you, then you’ll want to consider NameCheap’s hosting services. While there are obviously other factors you should consider, $9.88 for the first year is the cheapest hosting package I've taken you through in this guide. While cost shouldn’t be the only thing that influences your decision, if you plan to do client work or have other needs to retain a long term shared hosting account, then NameCheap’s hosting option is incredibly hard to beat from a pure monetary value perspective. For site speed, I tested with tobywhelan.com, which is showing as hosted through a NameCheap shared hosting plan. Tools.pingdom.com Test: The Pingdom test came back much better than the GTMetrix test with regards to performance. The only suggestion to improve performance here was to leverage browser caching. The load time was 3.09 seconds for 3.3MB of data which is right around the 1 second per MB of data that I typically shoot for when trying to optimize for speed. Keep in mind that this site doesn’t have any advertisements on it, and that will definitely add load time if you are planning on using NameCheap as a host. 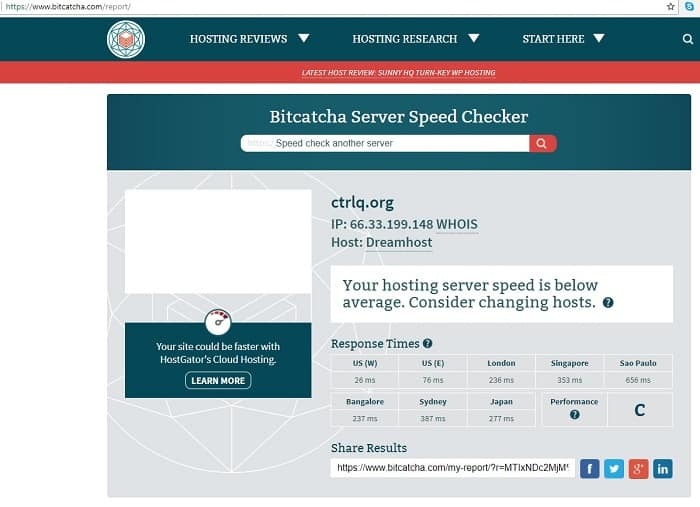 Bitcatcha.com Test: Bitcatcha gives us similar results as other shared hosts with regards to server response times. The Western US gets the quickest response with 15ms and the Eastern US lags behind at 88ms. Overseas, NameCheap responds a little quicker, at under 700ms for every country tested. Overall the results are a C from Bitcatcha which is not bad at all for a shared host considering other shared hosts I've tested grade out at a D or a D+. I’m grading NameCheap down here specifically because there is no link or gateway in your NameCheap account to get to your cPanel. You’ll need to save your original email with the login detail or contact their support chat to have it emailed to you. It’s inconvenient and for someone just starting out, they may forget where to login to and this could cost someone quite a bit of time trying to figure it out. They need to add a gateway or a link to cPanel so people can login and utilize their hosting options, especially if they are using NameCheap as their registrar on top of it. 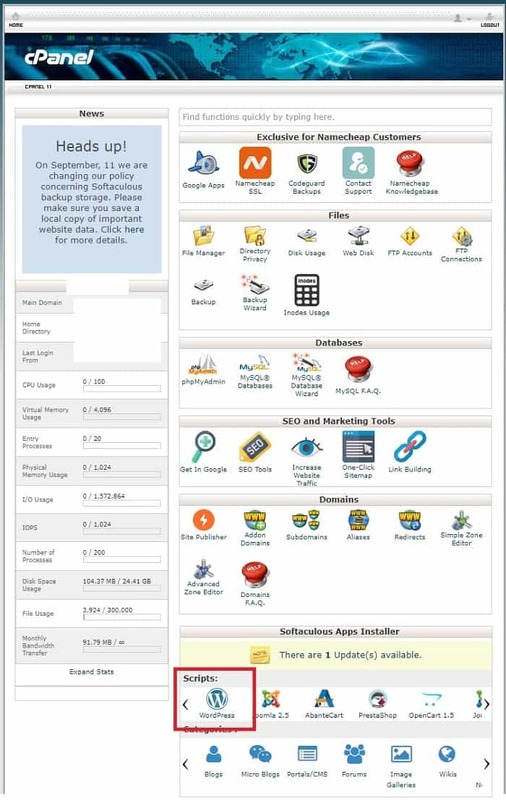 The back end is a standard cPanel login and is easy to use once you have the login link. NameCheap support is quick to respond via live chat. They have a 2 hour SLA (service level agreement) so they do respond quickly when you have a problem. They will ask for a pin, but once provided they are helpful and can usually resolve most basic and even more intermediate technical problems. Overall their support is solid, but I’m the type of person that would rather jump on the phone to fix a problem if I need an immediate response, and like other shared hosts, there’s no option to pick up the phone and call. My first experience with DreamHost came back in 2014 when I was experimenting with Private Blog Networks. I purchased a DreamHost account out of necessity for needing additional “Class C” IP addresses after reading all the studies by the pros. It worked out that DreamHost would occasionally provide you a “new” Class C IP range if you put a new domain on your hosting account every couple of weeks. It worked for a while, and at one point I had about 10 different C block ranges for IP addresses on one shared hosting account. At the time, this was one of the cheapest ways to host a PBN. 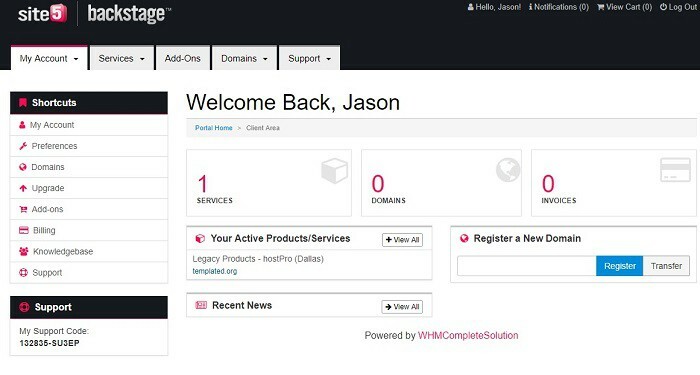 DreamHost has come a long ways since 2014, and they’ve upgraded their user interface, support structure as well as their technology. I don’t know if the IP range trick works anymore because I got out of PBNs back in 2014 after Google penalized a number of sites (including one of mine). My experience was always pleasant with DreamHost and it’s pretty easy to setup a new account. My biggest gripe with them in comparison to other hosts is cost, which I cover in more detail next. You can sign up for a Monthly cost of $10.95 per month or a 1 year billed in advance and save yourself $1.00 per month for a shared hosting plan with DreamHost. They do offer managed WordPress hosting which is more costly, but for shared hosting, this is what you can expect. As far as shared hosting is concerned, this is rather expensive when compared to other options. For similar speeds, you’ll pay $120.00 per year with DreamHost while paying far less with BlueHost or SiteGround for a similar experience. I do like how easy DreamHost is to navigate, and they do make upgrading to a Managed WordPress hosting option extremely easy to do if you are already a customer. From a cost perspective though, there are just better options. Even WPX hosting which is a managed WordPress hosting option, you are looking at $24.99 for a base price and the back end speed difference is definitely noticeable. For site speed, I tested with ctrlq.org, which is showing as hosted through a DreamHost shared hosting plan. 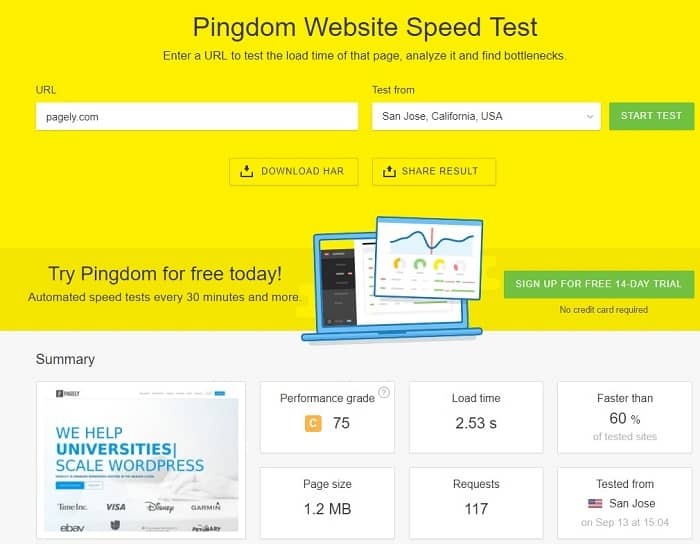 Tools.pingdom.com Test: The Pingdom test responded far better. It could have something to do with the server locations of where the data is hosted. 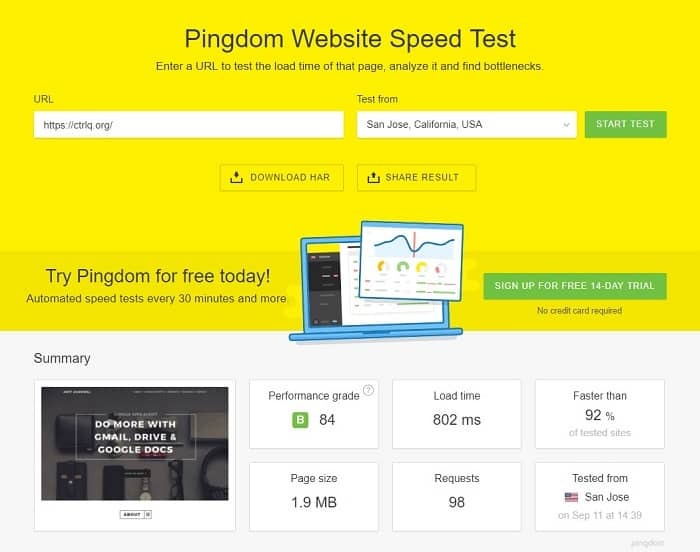 Pingdom fetched the page in 802ms, which is under 1 second for the same 1.9MB of data. 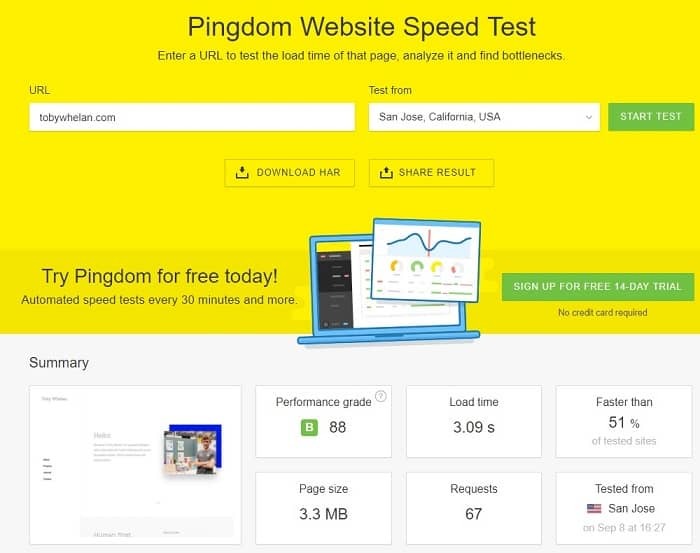 This test was run (as all the others) out of the San Jose test server, so it’s possible that the DreamHost data facility is closer to the Pingdom servers than GTMetrix. Bitcatcha.com Test: For a site not using CloudFlare, the Bitcatcha response is actually pretty solid. The West Coast US gets a server response in 26ms, and the East Coast US servers clock in at 76ms. What’s different here is that all the non-US servers are under 700ms, with the majority being under 400ms without using CloudFlare. If your traffic is coming from outside the US and you don’t intend on using CloudFlare, then using DreamHost seems to yield better server response times than most other shared hosts. DreamHost is easy to use. 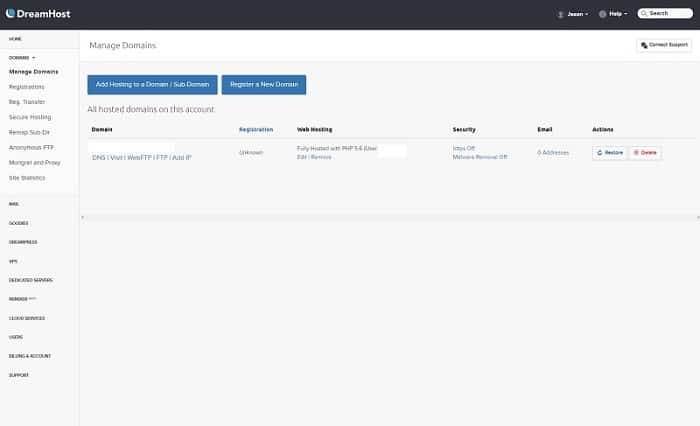 It’s not quite as intuitive as BlueHost or some of their competitors, but you can install WordPress within a few clicks of the main dashboard once you’ve placed your domains on your account and pointed the nameservers at the host. Installing WordPress is also pretty painless. It was clunkier back in 2014 and took a little bit more patience to manage then, but now it is fairly straightforward as they have gone through the UI and made some design improvements. The only complaint I have about their UI is the fact they aren’t using cPanel, so if you need to access your files once installed (think moving hosts), then you’ll need to do it via an FTP file manager which can be time consuming if you aren’t technically savvy (I am not). DreamHost has decent support. Again, missing from them is telephone support, but you can chat or correspond with someone via their support ticket system anytime you need assistance with something you aren’t able to solve on your own. I prefer telephone if I’m really struggling with something, so DreamHost gets a knock here, but overall, their response times are very good, especially via live chat. Managed WordPress hosts are the way to go if you can afford it. As mentioned, the time you’ll get back from the admin panel of WordPress alone makes the cost worth it in my opinion. When shopping for a Managed WordPress host, there are some things that should be taken into consideration as these types of hosting plans tend to differ in services and bandwidth more than shared hosting plans do. Full Disclosure here – I do not have UI experience with ALL of the Managed WordPress hosts I’ll be comparing. As a result, I won’t be rating the UI experience with each of these hosts – just the ones I’ve personally used. To get a gauge on the support response times, I pulled the information from others who’ve had experience interacting with these companies. I also am not rating them if I didn't have a personal experience with the host. I was introduced to WPX about a year ago, and honestly I wish I had switched over from a shared host earlier. As I mentioned in the section about why “Managed WordPress hosting is better” I made the point that the time it saved me in the admin panel was worth the cost alone. I’m an impatient person that’s rather OCD, and sitting around while WordPress clocks is not something I enjoy doing. The speed upgrade here over a shared host is definitely noticeable, and that’s just for me being selfish and wanting extra time back to be productive. The reality is that WPX gives you a pretty affordable cost of entry into Managed WordPress hosting and provides speeds that your visitors will love. They tier pricing by usage, so you’ll need to know what kind of data you use. If you use a CDN or CloudFlare this will significantly drop your bandwidth usage and save you monthly cost. When I used MaxCDN in conjunction with WPX, I survived on the “Business” plan for almost 9 months before I had to tier up based on traffic to the “Professional” plan. Let’s look at pricing. WPX has 3 different price points. I found that coupled with MaxCDN’s service, the Business plan at $24.99 per month was more than enough for me up until I started hitting around 100K pageviews per month between all my hosted sites with their plans. That pushed me into the next tier of the “professional” plan which is $49.99 per month. Because of the value of what they give you for the $24.99, I've graded them out as one of our only “A’s” in the cost category. While WPX is more expensive than other shared WordPress hosts, this cost is minimal when you think about any drop off you may experience in subscribers or lost traffic as a result of a slower website. Instead of wasting money testing different WordPress themes, choosing the right host is a sound monetary investment and WPX is definitely worth the cost. You can also order annually and save about 2 months off the total hosting costs for the year, which helps. GTMetrix Test: The GTMetrix test came back solid on this site. In looking at the page source, you can tell they have a custom theme and it’s well coded. 2.6 seconds for 862kb is somewhat respectable, although I’d prefer to see this load in under 2 seconds since most quick moving hosts will push 1 second per MB of data as I’ve mentioned previously in this article. The site is coded very well though, with minimal suggestions for improvement and overall combined with WPX Hosting, grades out at a 94 PageSpeed Score. Bitcatcha.com Test: Based on the response times, it’s entirely possible that this site has CloudFlare installed. Usually when a site has CloudFlare installed, they come back as the “host” underneath the IP address in the Bitcatcha test. It’s possible that CloudFlare is being integrated through the W3 Caching Plugin, but Bitcatcha is not picking up a CloudFlare IP. As a result, US based traffic is clocking in at 62ms on the west coast and 22ms on the east coast. It’s possible WPX has their US based servers on the east coast. Across the world though, we are right at or under 300ms across the board, bringing this host as our first to rank as an “A+” for Bitcatcha performance. With CloudFlare configured properly, most Bitcatcha serve times are under 100ms when hosted through WPX. WPX is one of the easiest hosts to install WordPress on. BlueHost is one of the easiest but WPX is not far off. I installed a site on my hosting account in under 3 minutes for a relative. And because the back end is so fast, we had her entire website up and running from scratch within a 3 hour timeframe. It would have taken me much longer to upload and edit content, move around from screen to screen while installing plugins, etc. if I had been on a shared hosting plan. WPX gets dinged for not having an 800 number to call if you have problems, but their ticket tracking and live chat services are spot on. I have never logged into support chat and not had someone answer me within 5 minutes of asking a question. They are extremely quick to respond, and have done many things I would consider “above and beyond” what a normal host would do. For instance, they will install and configure W3 Total Cache for you on your site, so it’s completely optimized with their settings. They will also install CloudFlare and configure it for you. Both of these tasks can take an hour plus to setup if you aren’t familiar with the back-end requirements. Overall – their support is top notch. Kinsta is another host that’s been around now for a couple of years. They are a Managed WordPress host that leverages the power of the Google Cloud platform. After reading many reviews, I’ve often been tempted to move to Kinsta from WPX because of how much people rave about their service and the support. Since I don’t have direct experience managing a website on their platform, let me explain why I’m going with a “B” on my overall rating. The reason for the overall “B” rating is one thing – cost. For what I’m doing right now in my business, there could come a time where I want to test a different hosting platform and I love the fact that Kinsta allows for Unlimited Pageviews and Unlimited visitors. But for me to host even 2 of my money sites with them, I’m already bumping up to their 200/month tier. I like the fact that they have staging environments, and from all accounts, their speeds are top notch. But with where my business is now, I can’t justify the $150.00 per month increase when I’m already getting similar performance metrics with WPX hosting. Matthew Barby recommends them, and so does Harsh Agrawal. Let’s jump in and look at some details. Kinsta has four primary plans that you can choose from. The majority of marketers that follow Spencer probably fall into the category of having 1 to 5 niche websites. This immediately puts most people (including me) into the “Business 2” plan which is $200.00 per month. If you get loads of traffic from just a single website, then from studies I’ve seen, this might be a better option because Kinsta can perform with heavier loads “all at once” than WPX can. WPX can view heavy load times as a potential hacking attempt, so if you are used to getting 10,000 hits on your site all in a short amount of time after sending an email blast, then Kinsta may hold up better. Most people aren’t in this situation though, and if that’s the case, then cost is something you will need to factor in. For site speed, I tested none other than Matthew Barby’s website matthewbarby.com, since he hosts with them and is advertised as a supporter on the Kinsta website. GTMetrix Test: GTMetrix comes in with a 77 (C) PageSpeed score. It returns a fully loaded home page at 4.6 seconds with a total home page size of 1.29MB. Kinsta allows you to pick your server locations based on your location, so it’s possible that Matt decided to choose a server location close to the UK since that’s where he’s based. He’s got some recommendations that GTMetrix does provide to further optimize his site, but being an SEO expert, I’m sure Matt is already aware of this and his brand is more important than someone loading a second faster on his home page. His content pages may be a different story though. Bitcatcha.com Test: Here’s where the rubber meets the road – Kinsta performed at 35ms (goal is 200ms or below) in the UK, and 86ms in the US on the east coast. The US west coast is under 200ms at 143ms. What’s surprising is that the other locations across the world are in the 200-400ms range without CloudFlare installed. This is pretty solid for not having CloudFlare as evidenced by the B+ performance grade by Bitcatcha.com. I don’t personally have any experience with the User Interface of Kinsta on the back end. However both Jon from FatStacksBlog.com and Harsh from ShoutMeLoud.com are fans of hosting on the Kinsta platform and have done some in-depth reviews here and here about Kinsta. Harsh shows all the details behind the support structure, and it looks like the user interface is very easy to use. While I don’t have experience with Kinsta support, I have interacted with their sales reps asking about their hosting plans when I’ve been considering testing their services. I got responses same day on all my outreach and they were very accommodating to provide the information I requested. While I understand that sales is far more likely to reach out immediately, it does look like other industry leaders have some good things to say about the Kinsta support team. Flywheel is a pretty sweet host. Their plans are pretty good if you are just starting out and they make a great entry level Managed WordPress host for people just starting out. They do have a limit cap of 5000 monthly visits and 250GB of bandwidth for their smallest plan that runs $14.00 per month. They advertise that they are for small developers and single sites, which is evident by their traffic requirements. When you start getting into the “Personal” or “Professional” plans, the cost is higher than WPX for what you get, but they are still a good host. I loved the fact they let you test out their sites and if you ever plan on freelancing, they have an awesome option that lets you bill clients directly, and you get an affiliate commission out of the client paying their hosting cost. It’s a great feature. Unfortunately it’s not enough for a solopreneur that does all the work themselves to pass over WPX or Kinsta in my opinion. If you do plan on offering client work, this overall grade probably shifts closer to the “A” mark as performance is pretty close to WPX for lower traffic sites. The $14.00/mo. cost of entry is nice for people just starting out. You get 5,000 monthly visits, but after 5-6 months of running a niche site, you may outgrow that number. That pushes you to the $28.00 per month plan, which only gets you one WordPress install and 25,000 monthly visits. Hosts like WPX charge on Bandwidth, and you can easily get by with CloudFlare installed up to 100,000 monthly visits on WPX’s mid-tier plan. Once you get into the “Personal” plan, that’s when the competition starts getting more aggressive. You do get their built in CDN for free which is a nice touch. And again, if you plan on doing client work, the option to bill them directly for their hosting is totally awesome. 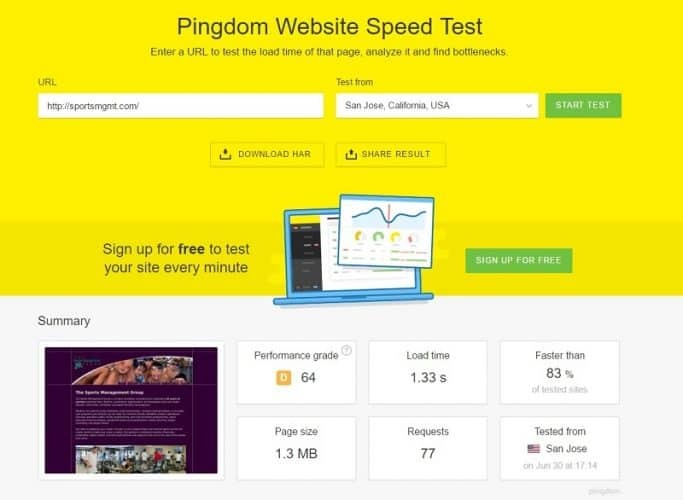 For site speed, I tested lemonly.com. They are a company that hosts infographics and are one of the testimonials on Flywheel’s testimonial page. I also did some testing myself as they allow you to create a non-indexed test site for free for 14 days. GTMetrix Test: GTMetrix pulled 7.86MB of data out of the lemonly.com home page in 6.5 seconds. Not bad when our typical target is 1 second per MB of data. They could do a lot with this site to reduce load times, but since they are an infographic service, having lots of large images makes sense. Flywheel does have slower load times under major traffic spikes, but they advertise that up front, so there’s no surprise there. 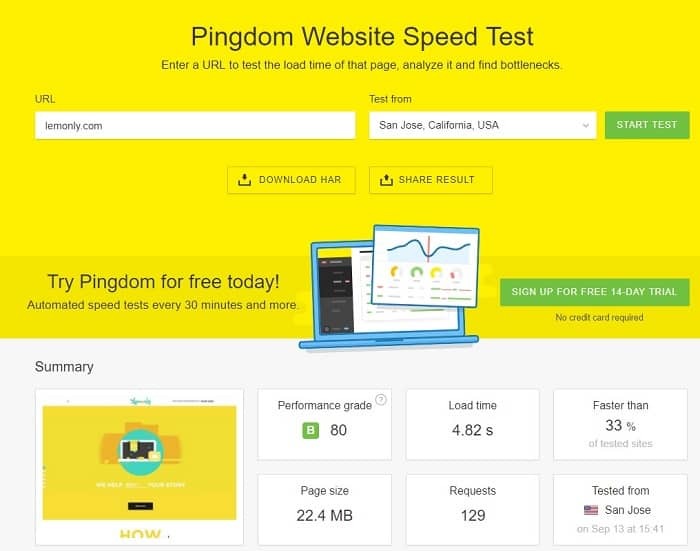 Tools.pingdom.com Test: Pingdom pulled down the lemonly.com homepage at 4.82 seconds with 22.4MB of page data. This is an excellent speed and I’m not really sure why the GTMetrix test pulls down significantly less data from the page, but I’m guessing it’s due to how each speed testing software reads the code. Bitcatcha.com Test: The Bitcatcha test here is pretty impressive. I could consider it “somewhat” of a cheat since like Pagely.com, they have their own CDN – but most server response times look pretty good. US based traffic on the west coast clocks in at 67ms and only 9ms on the east coast. London clocks in at 120ms and the rest of the world is under 460ms across the board. After cruising around the back end of my Flywheel account, it’s super intuitive and easy to use. I may be slightly biased because I tend to like sites that have bright colors that tell me what to do since I’m a visual learner. The UI is definitely easy to use, especially for beginners. I didn’t personally have to use Flywheel’s support team, but they are available 24/7 for emergencies including an option to call them during office hours which I love. I like getting on the phone with someone when I have a problem more than dealing with someone via live chat. I’m not grading the support since I’ve never had to use it, but the option is definitely there. WPEngine is one of the longest running managed WordPress hosting companies. They have the lion’s share of managed WordPress hosting, so you’d think they would be the best option for just about everyone, right? While WPEngine does have many people that are die hard followers of the brand, they lack in one areay that other managed WordPress hosts don’t and that’s speed. WPEngine does get a ton of positive feedback for their support structure, and I love that they have an option to call them on the phone, chat or submit a ticket. But that doesn’t trump speed, which is a huge chunk of what finding the right host is all about. The other knock against WPEngine is the fact they don’t host email with their service (this can be overcome) and that they also have some plugins that they don’t allow on your site if you host with them. WPEngine has a few different plans depending on where you are at in your business. The personal plan is only $29.00 per month and will service most people that are just starting out. You are only allowed 1 WordPress install on this plan and can only get about 25k hits per month. It’s not a bad entry level plan, but it’s not as good as WPX offers with their entry level 5 website plan. 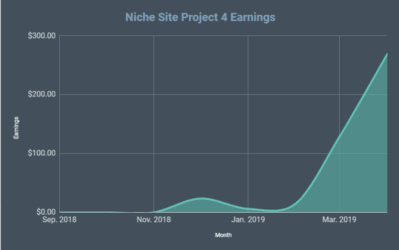 Their next tier up is the professional plan, which is $99.00 per month for 10 sites, and WPX offers a hosting plan that’s about half of that with 15 WordPress installs. Cost is cheaper than Kinsta but more expensive than WPX. If you like the idea of having someone you can hop on the phone with when there’s a problem, then WPEngine might be a good fit for you, especially if you are just starting out. For site speed, I tested eofire.com, run by John Lee Dumas. John Lee Dumas is a respected entrepreneur and he moved to WPEngine when their bandwidth at EOF exceeded what BlueHost could provide for them. 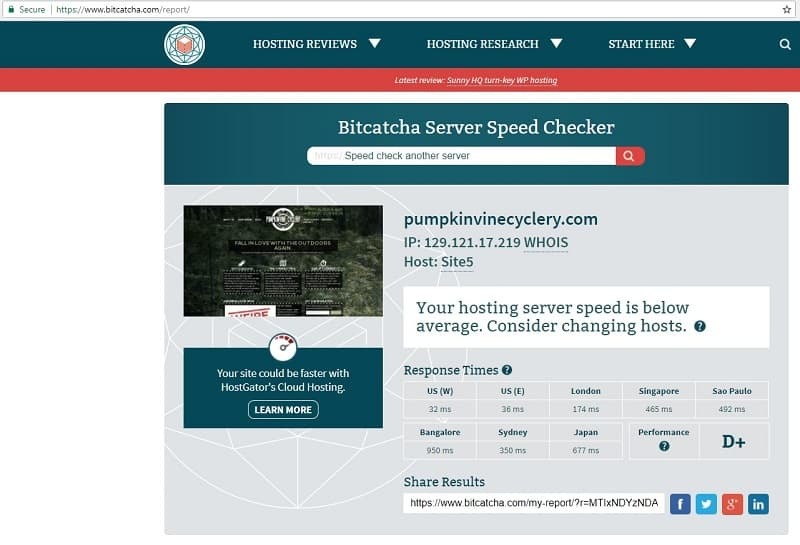 Bitcatcha.com Test: Bitcatcha brings in the server response times in the US at 70ms for the west coast and 16ms for the east coast, both of which are respectable. The UK clocks in at 130ms, but everywhere else is at 350+ms, making this less optimal if you have traffic coming from overseas. You can integrate CloudFlare with WPEngine, which will yield better results for anyone coming to your site overseas. Just like Kinsta, I have no personal experience using the WPEngine Dashboard. There are plenty of different articles that talk about how easy it is to use though. Because WPEngine is a large company, they are able to reinvest into support and User Experience, so this is definitely a strong point for WPEngine versus their competitors. As with the UI, I have no direct experience here, but from what I’ve read, they have made investments into their support team and you can call or chat with someone 24/7 about your website. I like the phone support and chat support, but I’m not quite sure it’s enough to convince me to test them out given some of the issues I’ve read about with other bloggers. Still, things have come a long way from 2014 when that post was written, so it’s possible they have gotten better since that time. Pagely is a higher end Managed WordPress host. They run on Amazon’s SSDs with the privacy of a VPS and allow unlimited pageviews/visitors. Unfortunately the biggest drawback here is going to be cost. They are quite expensive and the cost will be somewhat out of reach for many people that have established sites. 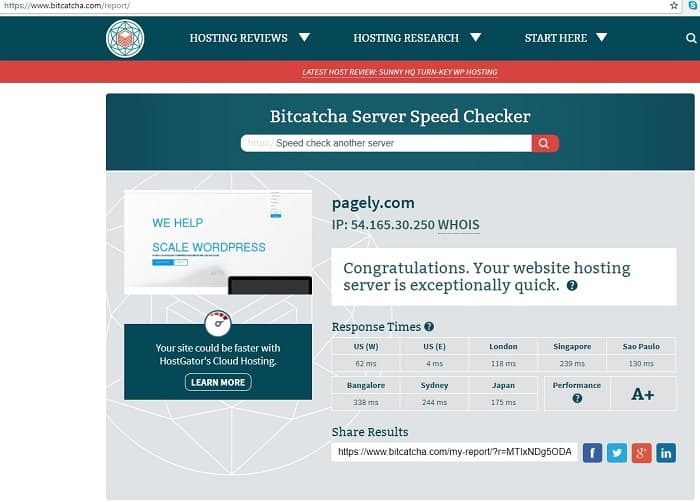 If you need someone to handle a large influx of traffic, Pagely is definitely worth a look as a hosting provider if you can afford it. There are many enterprise level WordPress websites that utilize Pagely’s service, as they need to withstand massive traffic bursts and heavy load levels when they have an influx of readers due to viral activity. They have several plans depending on what you need, including one plan that’s “not published” but is cheaper than the others they have advertised on their website. Pagely definitely caters to the enterprise crowd, specifically sites that get millions of visits per month. 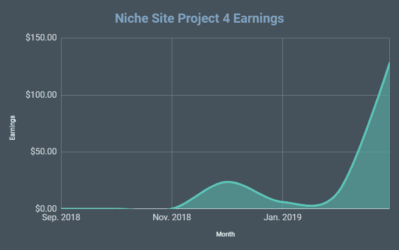 I’ve graded out at a C here on cost because many people that read the NichePursuits blog should be investing $499.00 per month for content, not for hosting. Pagely.com used to offer lower tiered hosting packages that were “somewhat” affordable for the little guys, but now they have definitely geared their resources towards other sites. It’s possible they are also catering to resellers, although I don’t have experience there. Allowing 30 WordPress installs at $499/mo. isn’t bad if you are working with clients, hosting their sites, and charging them $50.00 a piece for monthly maintenance. They do have an “unpublished” pricing plan that starts at $299.00 per month, but you’ll need to reach out to their sales team directly to uncover that price point. It only allows for 15 installs of WordPress, which is still pretty decent considering you get unlimited bandwidth. For site speed, I tested the pagely.com website. When I asked for a sample site to do some testing, they explained that their own site is hosted on their servers and could be tested. They provided me another website which yielded similar results from a testing perspective. GTMetrix Test: GTMetrix pulled Pagely’s site fully loaded in 4.8 seconds with 1.22MB of data. There are some recommendations for speed on the site, and GTMetrix reads that there’s no CDN installed. This is incorrect as Pagely actually has their own CDN that they utilize with their hosting service, which is a nice touch. There are 113 requests on their homepage, so there’s more to loading this page than server speed. If you check out the home page, there’s a lot of activity so I’m going to guess that some of the coding may be holding back their speeds just a touch. Bitcatcha.com Test: Bitcatcha’s test for Pagely was impressive. The US west coast server pulls a 62ms response time with the east coast being 4 seconds. Every other country besides India was under 240ms, which is the fastest server response times I've seen on any site that doesn’t have CloudFlare installed. Like Kinsta and WPEngine, I don’t have experience with the Pagely User interface. From what I’ve read, their UI is different in the fact that you don’t actually “install” WordPress, as it’s already installed for you completely ready to go right out of the box. It may be confusing for anyone thinking they will login to a default WordPress as the prior article mentions that it looks a bit different from a standard WordPress installation. As with the UI, I don’t have first-hand experience with their support. They don’t list a phone number to contact them, but they do have ticket support as well as live chat support. Their support is available 24/7, and I would find it hard to believe that major brands would host with Pagely without them having an amazing support team ready to tackle any challenges that may come up. Hopefully everything laid out here will help you pick the right host for whatever your plans are with your business. There are lots of different options and it can be quite confusing if you don’t know what your plans are long-term. If you are still scratching your head after all the testing I’ve done here, I’ll reiterate how I would approach hosting if I was just starting out. Anything in between will work, but these four are the hosts I’d recommend based on personal experience and learning curve over the last several years of testing different hosts. 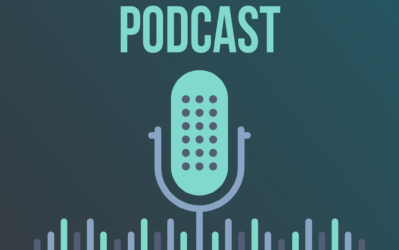 If you have different experiences or feel like I’ve missed your favorite host, please drop us a line in the comments section! You forgot a2hosting.com I use them very good service and amazing hosting. Thanks Avi – I don’t have experience with a2hosting.com. Will have to check them out in the future. I’ve been a WPX hosting customer for about two years (when it was still called Traffic Planet Hosting) and I couldn’t be happier, their customer service is the finest ( fast, professional, helpful) I’ve ever encountered. Agree, Arye, I like their service. I’ve been very happy since joining. Thanks Jason, for this thorough blog. 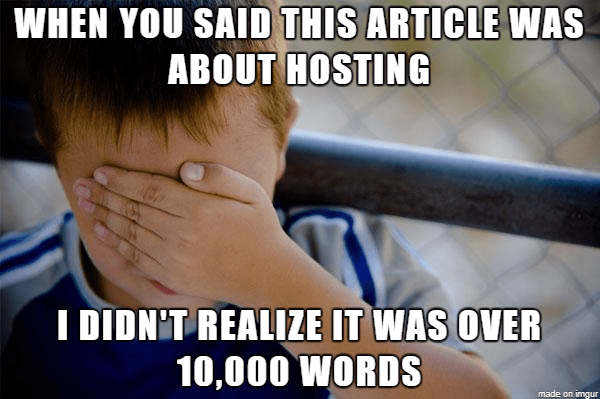 I am with hostgator, but am in need of a change. I had never seriously considered managed hosting–until now. WP engine really caught my eye, but how can they not support emails? Emails are so important. And some don’t have phone support? It is hard to imagine, that with all they provide, they may not provide the basic necessities! I always thought, for the cost, no stone would be unturned. Glad it helped Mary. I agree, the email problem was a deal killer for me, that’s why I stuck with WPX and have been very happy. A managed service is absolutely the way to go if you can afford it. Thanks for taking time to review all these sites. I would also recommend hawkhost. Small companies are much better with personalized service than these behemoths. Tried most of these but finally end up with hawkhost. Thanks for the suggestion John, will have to check them out next time I’m in the market for a host. A great job was done detailing from beginners to pro. And I totally agree with you on WPX and Kinsta.As for beginners, Bluehost offers fewer Inodes compared to what SiteGround offers. It can only be found in Bluehost terms of service.For those Who are planning to move their site(beginners). Bluehost charges a $149.99 for site migration same with Dreamhost. Whereas SiteGround offers Free site migration.I thought worth mentioning. Amazing list of hosting services. I have been with blue host for almost and I have had a good experience so far. Nevertheless, Thanks for sharing this list. This surely gives us plenty of options to choose from! I am usually used Hawkhost and I am happy with them. I love use VPS but price is high for new website when it doesn’t make money. I’m not sure about your cost comparison with SiteGround and Bluehost. SiteGround offers a free SSL certificate while Bluehost charges $10.16 per month for one ($4.17 for SSL and $5.99 for dedicated IP) which adds $121.92 per year to Bluehost. I’m not sure why anyone would start a blog these days without SSL. Thnks for very helpfully article. Great article. Important things to keep in mind before picking your next WordPress host. Really helpful. The GTmetrix.com “Fully Loaded time” includes the time required to load all scripts, including asynchronous ones like Google analytics etc. One needs to check their DOM load time, not the Fully loaded time – that’s the time it takes for images, text, and menus to load, and which is the metric of value to webmasters in terms of bounce rate control. OMG that’s a massive blog post around WordPress hosting sites. Hats off for doing amazing work and I really find the article useful especially for people who are struggling to choose the right web host for their websites. Honestly speaking, I’ve tried nearly 10 web hosts from the last 10 years, I still use a wide range of hosting companies like SiteGround, Bluehost etc but the one I really liked is WPX hosting. Not only it is affordable for most bloggers (costs around $200 a year and it’s worth every penny) but it gives you superior hosting features like speed, reliability, super fast loading times and so on. But if you’re someone who’s looking for even cheaper yet reliable hosts, then I think one should go for hosts like SiteGround, Bluehost as both are amazing. Only their customer support is not that good when you need assistance. Thanks for sharing this post with us Jason. Keep rocking!